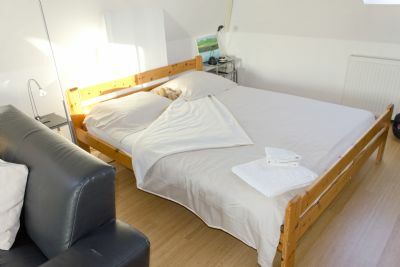 Neptunus Studios offers a cosy, private accommodation for gay singles and couples, and business travelers, who like to have their own kitchen and privacy. 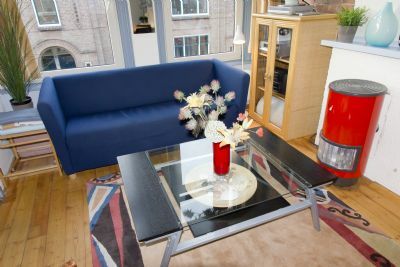 There are two stylish, fully furnished studios available. Perfectly located for beach lovers, the apartments is just a few steps from the sea and sand, in a quiet street near the promenade.of Scheveningen. 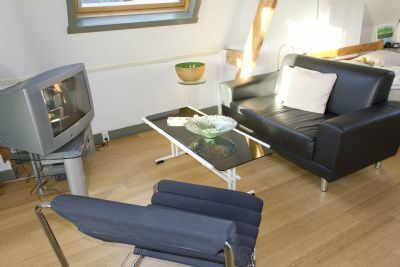 Both studios are in a typical house from 1900, which is characteristic for Scheveningen. Your gay hosts Joan and Tijs live downstairs, so you can always knock the door to ask any question. The house was recently completely renovated, insulated and has central heating and fire alarms. Studio Poseidon is a loft attic on the top floor. 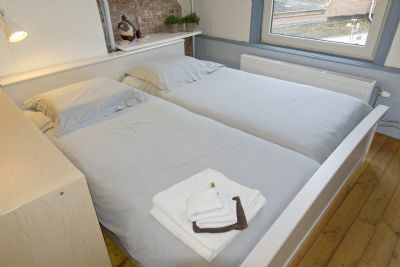 Well lit through large skylights, the apartment features a comfortable double bed, and an additional high bunk bed can be used by a third guest. The fully fitted kitchenette includes a stove (2 plates), furnace, water boiler and coffee maker. The tiled bathroom contains a bath and a walk-in shower. Apartment Neptunus is on the first floor The studio has a spacious living room with high windows, dining and sitting area with WiFi and television (digital cable TV). The king size bed is separated from the the living area by book shelve. Adjoining the living room is a kitchen with sink, refrigerator, water boiler, coffee machine, microwave and a stove (4 plates). The bathroom has a shower, sink and toilet. The separate bedroom has two bunk beds. WiFi Internet access is provided for free. 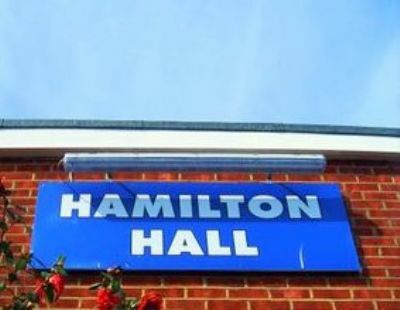 Including clean ironed linen, towels, tea towels, electricity and heating. You can use bikes for free to explore the beautiful dunes. 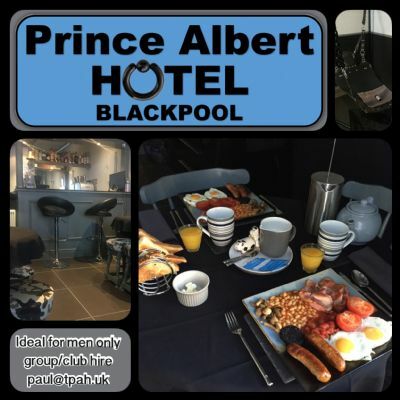 No extra charge for the use parking card (for maximum 2 hours parking in front of the house at your arrival), city maps and a city tour by the owner. The tram brings you in 15 min. to the historic center of The Hague with many cultural events, concerts, exhibitions, theaters.